Whether you’re buying for your brother, sister, mum, or nan, an Apple gift is something that everyone will appreciate. As you can imagine, shopping can be a busy time of the year, and although most will have their gifts all sorted, some do leave it till the last minute. Apple has you covered though as it’s just published it’s deadline for purchasing Apple products. The U.S Online Store has been updated with a guide specifying the ordering deadline for Macs, iPads, iPhones, and iPods to be ordered for delivery by December 24th. Deadlines do vary depending on the product as stock obviously differs. 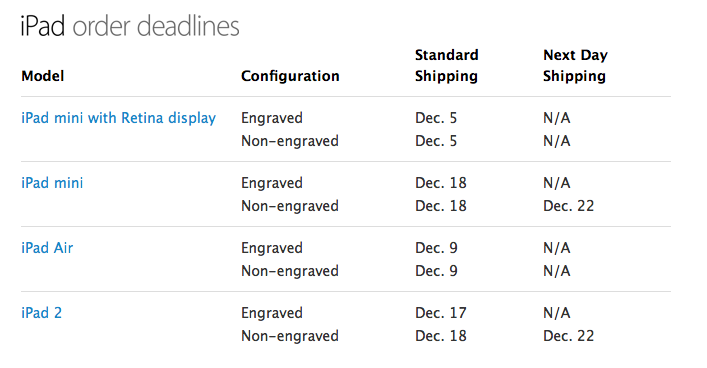 For an iPad Mini Retina you’ll have to order by December 5th for delivery by December 24th. An iPad Air on the other hand doesn’t have to be ordered until December 9th. For the older iPad models stock is clearly in surplus since the deadline is December 18th or December 17th for an iPad 2 with engraving. As for the iPhones, the iPhone 5S must be placed by December 12th. Apple doesn’t offer next day delivery for the iPhone 5S, and Apple warns ordering deadlines are for qualifying customers only. Custom Macs obviously need more time to be configured and built in the factory, but Apple advises that delivery estimates will be calculated at checkout. Apple TV’s and all iPod models should be ordered by December 18th for Christmas Eve delivery. As you can see, Apple have provided some flexibility for those late shoppers, but these are just estimates and are all subject to stock levels so may vary in some instances incase you see different results. 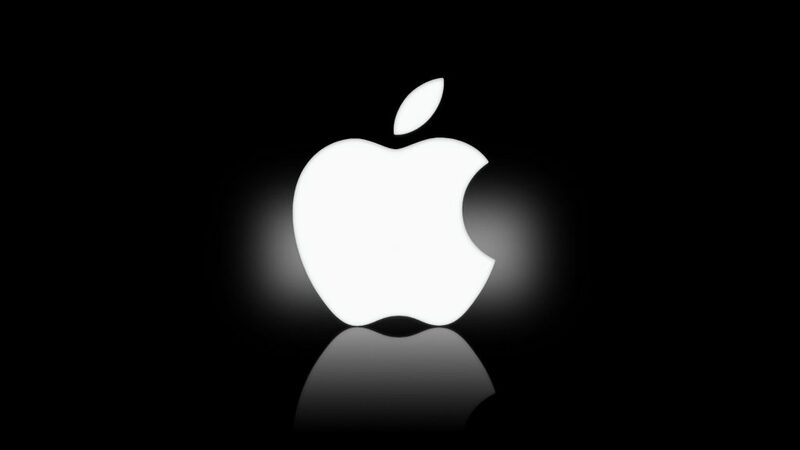 Have you ordered your Apple product for Christmas, or are you leaving it till the last minute? Let us know what you have ordered and for who in the comments section below.